Did Pittsburgh Police Just Let it Slip That Trump is About to Fire Mueller? 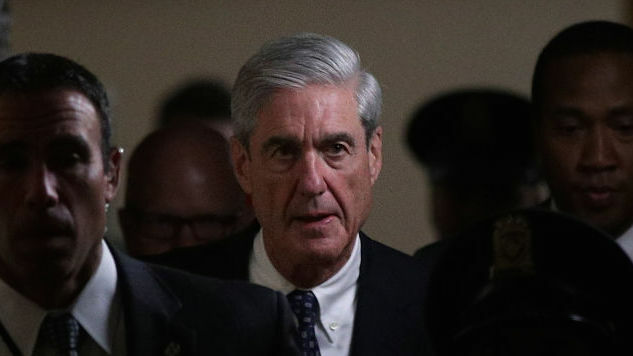 Classify this under the dual categories of “emerging” and “wait, what the hell?” According to a tweet from Marcie Cipriani at WTAE in Pittsburgh, an email went out to Pittsburgh police Wednesday warning them to “be prepared with riot gear” in the event that special counsel Robert Mueller gets canned by President Trump. We have received information of a potential large scale protest in the Central Business District. There is a belief that President Trump will soon move to fire Special Prosecutor Mueller. This would result in a large protest within 24 hours of the firing. The protest would be semi-spontaneous and more than likely happen on short notice. Based on this information, beginning tomorrow, April 19, 2018 all Major Crimes detectives are required to bring a full uniform (riot gear) with them to work until further notice. We may be needed to assist in the event that there is a large scale protest. The interesting part, of course, is the mysterious “belief” that Mueller is about to be fired. Is that a general “belief” among citizenry, or do the Pittsburgh police (and presumably other police forces around the country) know something we don’t? As in, did they get a heads-up that Mueller is on the way out sometime this week? We have no clue. But this is a strange, unsettling email to see, and seems like a harbinger of big news. In other words, the Pittsburgh police may have just “broken” the story that Mueller is gone. Stay tuned.